DAY ONE - WELCOME TO MELBOURNE! 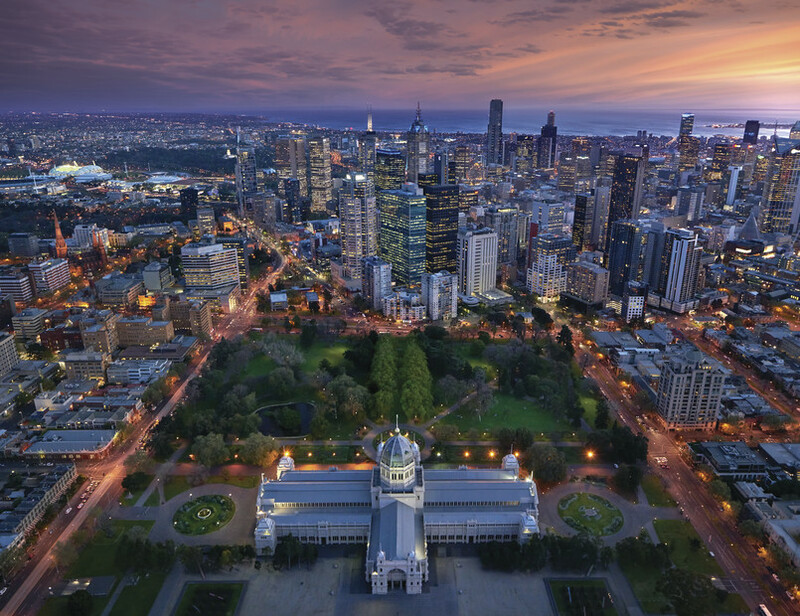 Australia’s second-largest city, Melbourne boasts great festivals and shopping, a passion for food and wine, and fabulous arts. Outside Melbourne, you’ll find a host of regional attractions, from the Little Penguins to the spectacular Great Ocean Road. Melbourne is set around the shores of Port Phillip Bay. The city itself, laid out in a large rectangle and boasting a lively and cosmopolitan pulse, sits on the northern banks of the Yarra River. 2 nights CLASSIC ROOM - Sofitel Melbourne is at the Paris end of Collins Street, in the heart of the city’s premier shopping, dining and theatre precinct. This award winning hotel has luxuriously appointed rooms, featuring floor to ceiling windows with breathtaking city views and is convenient to the cricket ground and tennis center. See Koalas and Kangaroos in the wild! Interact with wild animals in their natural habitats on this full day, fully inclusive small group (max 8 people) eco-tour, led by an experienced Wildlife Guide. Walk through natural bushland to meet wild koalas. See wild 'mobs' of Kangaroos on the plains and in open forests. The natural environments we visit are also home to parrots, fairy-wrens, emus, honeyeaters, possums, wallabies and lizards. The Red Center is more than the center or middle of Australia. The sheer size of Uluru/Ayers Rock, the strong sense of spirituality and culture you will find here, combined with amazing stories means a visit here is an encounter with the very heart of the country. Uluru, also known as Ayers Rock, is a large sandstone rock formation in the southern part of the Northern Territory. Kata Tjuta and Uluru are the two major features of the Uluṟu-Kata Tjuṯa National Park. 2 nights SUPERIOR ROOM - Slip into comfort and luxury right in the heart of the Central Australian Outback at Sails in the Desert Hotel. Sounds of Silence DinnerBe transported to a desert dune where you sip champagne and listen to haunting sounds of didgeridoo as you watch a magnificent sunset over Kata Tjuta. When the sun has finally set, lanterns are lit and dinner is served under the stars. After dinner view the heavens. The night sky is star studded, clearer and brighter than most city dwellers ever see. The resident astronomer will introduce guests to the magnificent constellations, stars and planets that make up the skies of the Southern Hemisphere. This morning your guide will meet you at the entrance of your accommodation at Ayers Rock Resort. Departing the resort the tour will travel through the landscape to the entrance of Uluru Kata Tjuta National Park. On arrival at the viewing area you walk to the best vantage point to see the 36 domes that comprise this spiritual place while watching the sun’s morning glow as the desert comes alive. We make our way to the western side of Kata Tjuta and enjoy a gourmet picnic breakfast. Take a stroll between these mighty conglomerate rock walls as your guide explains how the environment and the geology has evolved over millions of years. Your guide will return to your accommodation at Ayers Rock Resort. ULURU SUNSET - This afternoon your guide will meet you at the entrance to your accommodation at Ayers Rock Resort. Departing the resort the tour will travel through the landscape to the entrance of Uluru Kata Tjuta National Park. From this point it is only a matter of minutes before the specter of Uluru rises from the sand dunes to demonstrate its enormity and presence in this country. As you drive around the base, your guide will take you to the entrance of Mutitjulu Waterhole, a semi-permanent watercourse nestled in the contours of Uluru. You will see the rock art of the ancients and learn how Uluru was, and still is, a significant location for teaching young Aboriginal people. You then adjourn to the new Talinguru Nyakunytjaku viewing area where you will observe an uninterrupted view of Uluru with Kata Tjuta in the background. Your guide will then return to your accommodation at Ayers Rock Resort. This morning you will be transferred to Uluru/Ayers Rock Airport for your flight to Cairns. Palm Cove offers a serene vacation experience. Set amidst an idyllic stretch of beach and luxurious resorts, Palm Cove is a haven for the indulgent. Spend your days lazing away on the beach or take a stroll along the esplanade through the many boutique shops and cafes. PULLMAN PALM COVE SEA TEMPLE RESORT AND SPA4 nights STUDIO SPA ROOM - The Sea Temple Resort & Spa Palm Cove offers the ultimate in luxurious, sophisticated accommodation and a tranquil escape, located right on the beach front in the south of Palm Cove. 2 nights CITY VIEW ROOM - The Four Seasons Sydney captures all of Sydney's most celebrated icons – from the Harbor Bridge to the Opera House. Half Day small group tour. Departing this morning from our hotel, we cross the Sydney Harbour Bridge and travel through picturesque Northern Suburbs and on to the coast and the northern beaches. Driving over Curl Curl Headland with beautiful views looking down to the beach and out to North Head. Stop at Manly Beach to see the surfers and beach volley ball and on up to North Head. We have morning tea, coffee or hot chocolate with Tim Tams with this awesome back drop. We then head back to the city. 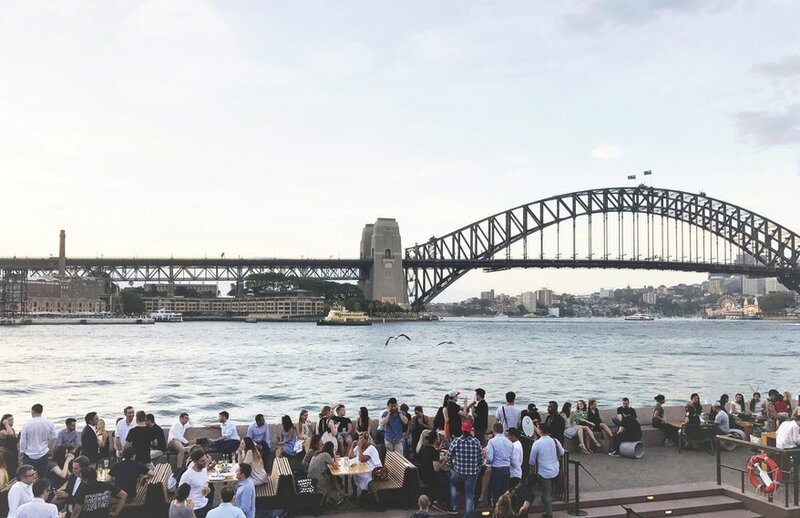 We take in the expected city aspects of Macquarie St, Wooloomooloo Bay, Kings Cross and the Eastern Suburb Bays to Watsons Bay and Bondi Beach. Back in the city we see the gay and lesbian Oxford St, the Spanish Quarter, China Town and pause at Darling Harbor. We drive under the Harbor Bridge with great views of the harbor and Opera House. SYDNEY OPERA HOUSE - Private guided tour.Get an exclusive look inside the world's most recognizable sails. Experience this miracle of architecture and engineering. A work of art that came into existence against impossible odds - to become one of the busiest performing arts centers in the world. Your guide will take you on an emotional journey, engrossing you in a story to rival any opera plot with its dramatic twists and turns. You will be transferred to Sydney Airport for your flight home.